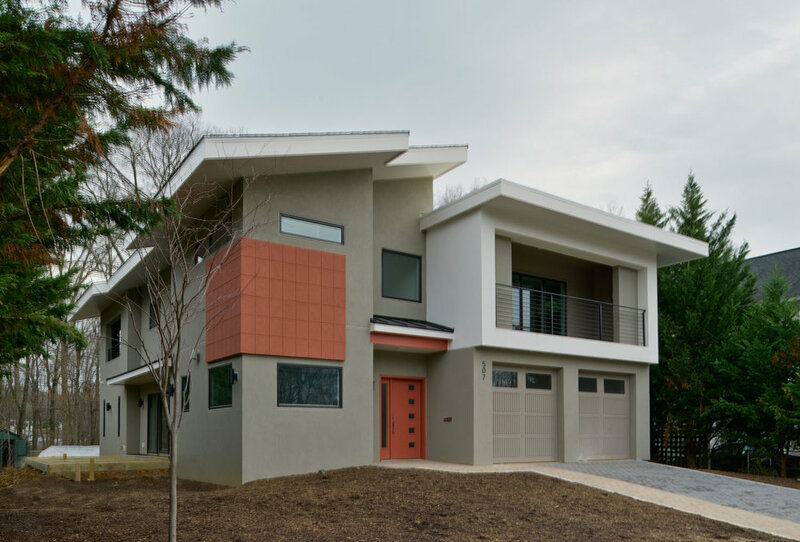 This modern or contemporary home was custom built for a customer using SIPS (Structurally Insulated Panel System) to create high open ceilings, dramatic modern lines and a super-efficient envelope. 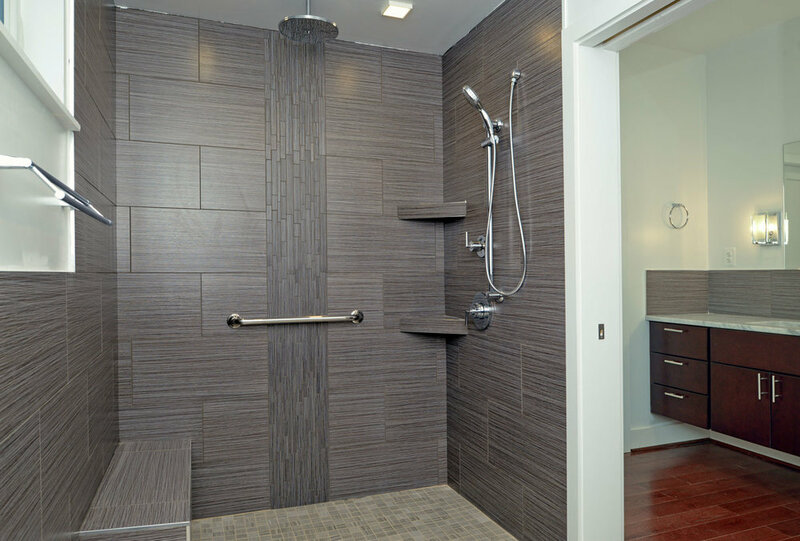 The modern feel is duplicated throughout the entire house. 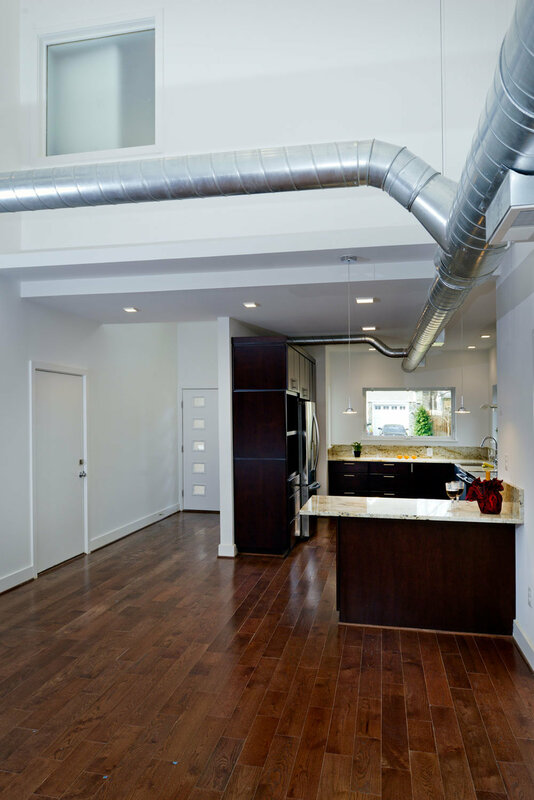 The open steel stairs and railings were custom built to match the existing aesthetic.